Whether you're a die-hard vegetarian or a committed carnivore, the mouthwatering veggie recipes in Hamlyn All Colour Cookbook: 200 Vegetarian Recipes can be enjoyed by the whole family to keep everyone healthy and happy. Choose from simple snacks such as Mushroom and Ginger Crispy Wontons or Sweet Potato and Coconut Soup to more filling Thai Red Curry Vegetable Pies and the tempting Tiramisu Cheesecake. With such a considerable selection, you'll be able to create fantastic vegetarian meals to suit all persuasions and occasions.Every recipe is accompanied by a full-page colour photograph and clever variations and new ideas, giving you over 200 meals to choose from. The hardest part for you is deciding which delicious dish to cook first! Louise Pickford has worked as a food writer and stylist for 15 years. She regularly contributes to food magazines such as Delicious, Australian Good Taste and Gourmet Traveller. 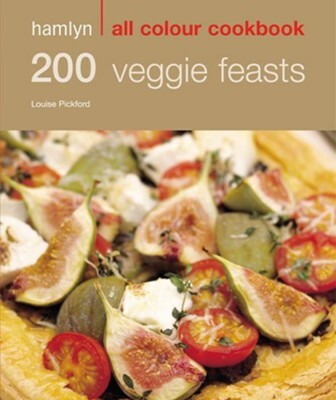 She is the author of Fresh Baked, 30-minute Food for Friends and Hamlyn All Colour Cookbook: 200 Veggie Feasts. I'm the author/artist and I want to review 200 Veggie Feasts / Digital original - eBook.